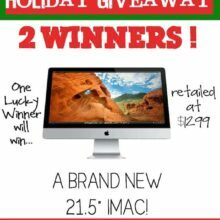 We are kicking off our holiday giveaways with a fabulous giveaway from Rosanna. I am obsessed with dishes. When Josh remodeled our kitchen, he made sure there was plenty of room for my collection of dishes, but guess what? I am already outgrowing my space. I can’t stop myself. Some of my favorite dishes come from Rosanna. I want them all! Today we are giving away a small Rosanna White Pedestal, I have this one and LOVE it, and a Christmas Mug set. To enter to win, please leave a comment on this post telling us what you will sip in your Christmas mug if you win. Coffee, hot chocolate, tea? 1. Follow Rosanna on Facebook. Leave a separate comment on this post letting us know you are following. 2. Follow Rosanna on Twitter. Leave a separate comment on this post letting us know you are following. Winner will get to choose which Christmas mug set they would like. Please make sure you leave a valid email address when you comment. This giveaway is for U.S. residents only. The giveaway is open until Thursday, December 8th 10:00 p.m. MST. Winners will be chosen randomly. Good luck! Rosanna is sponsoring this giveaway, but our opinions are our own. Probably black tea. I’m boring, but it is my favorite! Most likely tea! But sometimes coffee and hot chocolate too! And apple cider! I would definitely be sipping orange tea 🙂 These pedestals are so pretty! I follow Rosanna on Twitter. Following on Twitter AND Facebook!! I am a tea lover by heart but lately I can’t stop my addiction to salted caramel hot chocolate… I just LOVE it! That is definitely what I would be sipping in those cute cute Rosanna Christmas Mugs! Thank you, Maria (and Rosanna) for this wonderful giveaway! I just started following Rosanna on Facebook! I will use it for coffee, but I’m much more excited about the cake pedestal. I would drink some hazelnut coffee from the mug. Caramel Latte or Hot Chocolate! Mmmm! I’ll start the morning off with some hot green tea! Those mugs are so cute! My son has been asking for a tall Christmas mug for his morning “coffee” and these would be perfect! I would drink coffee, tea, and hot chocolate! Not all at once of course. I “liked” Rosanna on Facebook. I’m a medical student, so I would be filling my mug up with coffee several times a day! A Christmas mug would be perfect for sipping cranberry tea before bed. coffee, hot chocolate, tea…I love it all! i’m going with peppermint hot chocolate…i’ve been craving it for WAY too long now! Coffee. And maybe some hot chocolate! I’ll definitely be drinking tea from them…I drink a lot already! Hot chocolate! Last year I made homemade hot chocolate mix for the first time and it was spectacular, I can’t wait to make it again this year for the holidays. The mugs are beautiful, thanks for introducing this company to us. These are lovely dishes! I have not heard of Rosanna before so thanks for sharing. It would be a real treat to sip hot coco out of one of those pretty mugs! So pretty. I’m a hot chocolate girl myself. I also became a fan on Facebook of Rosanna! Love the dishes! I am a dish collector too. =) I would be sipping coffee or spiced Russian tea. Hot chocolate in a Christmas mug is my favorite! Coffee in the morning and hot chocolate at night! I would definitely be sipping some of my favorite FTO coffee all day long from one of those lovely mugs. Hot chocolate with extra extra extra marshmallows! Hot chocolate with a touch of Bailey’s…….yum! what you will sip in your Christmas mug if you win. Coffee, hot chocolate, tea? = coffee please! Hot chocolate! I have a little almost every morning.. it is the best!! Cute! I am a big fan of tea. Chamomile w/ honey mostly but just bought Tazo’s Chai concentrate for Chai Tea Lattes. Most days it will be hot candycane green tea and other days it will be hot chocolate. Such pretty mugs! i would definitely be drinking some tea! i would drink tea!! i love coffee, but cant make it good at home so i always get it when i’m out. I would drink my coffee in it every morning! And probably some decaf tea at night. Definitely coffee–with cinnamon bun creamer! Coffee. It’d be a great way to start my mornings! I follow Rosanna @MommaStaciA. Thanks! I love a big cup of hot cocoa with marshmallows! I’ll take some black decaff. Maybe with a scoop of ice cream in it. mmm. Coffee ALL THE WAY. If it’s later in the day and I’m feeling a bit naughty, it may just have a splash of Kahlua in it. I would love to be sipping my morning coffee in those sweet mugs! I make a mean white chocolate cocoa, so that, for sure. It’s so cold in Denver right now–I’m looking forward to sipping some hot cocoa with a splash of Bailey’s carmel Irish cream. So divine!!! Oh….those are beautiful! It would definitely be my cocoa mug, with whipped cream piled high!…..yum! I’m following Rosanna on Facebook. I’m following Rosanna on Twitter. All of the above- equal opportunist here! Oh my gosh, I just discovered the most amazing homemade hot chocolate mix; that is definitely what I would be sipping out of those adorable mugs!!! I would sip salted caramel hot chocolate! Coffee! It’s all that’s keeping me going on these cold mornings! I liked Rosanna on Facebook. Hot chocolate with whipped cream on top! Hot chocolate with plenty of marshmallows! I follow Rosanna on Facebook. I will be sipping eggnog (the low fat kind) with my Grandsons! I would definitely drink coffee with some kind of fun Christmas-y flavored cream! I would definitely be sipping tea or hot chocolate… no coffee for me! These are too cute! I, too, have a problem (according to my husband) of having too many dishes. Oh, well! These would be perfect to sip my green tea in the morning, which is supposed to be good for me….well, except for the mornings that I fore go healthy things and have my coffee! Tea first and foremost, with the occasional hot chocolate. Ooooh home made hot cocoa with my 6 year old twins!! I would drink my morning coffee at work. Adorable cups!!! In true Lorelai Gilmore style: coffee would grace those mugs. Coffee, Coffee, Coffee! Tea, tea, TEA! I’ve given up coffee recently and have fallen in love with tea. I like Rosanna on FB! I would sit drinking coffee full of chestnut flavors kissing the chill of morning air and adoring my Christmas tree! I would drink coffee, tea, hot chocolate, egg nog and even milk with my cookies. I love them, they are just gorgeous! Hot chocolate with whipped cream! I will drink coffee, hot chocolate, and cider! I have a love for dishes, too! And I especially love Rosanna. I’ll be sipping a peppermint mocha. I’m following Rosanna on Twitter now. hot chocolate with mini marshmallows! Alton Brown’s Dutch process hot cocoa! I would be sipping coffee mixed with a packet of hot chocolate. So good! I will use those fabulous mugs for homemade chai! I “like” Rosanna on Facebook. I wil drink hot apple cider with whipped cream and a drizzle of caramel. These mugs are adorable & I would love to sip some hot tea out of them! I am also following Rosanna on Facebook! Oh my, how CUTE is this stuff?!?! I am usually a coffee-drinker, but I have to admit, cute Christmas mugs typically entice me to make steaming mugs of hot cocoa! And I like Rosanna on Facebook. I am now following Rosanna on TWITTER! YAY!!! I followed Rosanna on Facebook. LOVE looking around her facebook page at all the fun designs! Gorgeous!! I liked Rosanna on Facebook! Woot woot!!! I followed Rosanna on Twitter. Thanks for introducing me to her stuff! I would LOVE me some hot cocoa and spiced chai tea in my Christmas mugs!!! I love Hot Chocolate! I seriusly drink it everyday, love it. We would definitely sip hot cocoa here at our house. I had a really yummy flavor recently that I want to find more of–it was roasted pecan hot cocoa. So good. Definitely some yummy hot chocolate! Now following Rosanna on FB! Love the 12 days of Christmas plates! I have to say, I never enter giveaways, but those are adorable!! I will be sipping hot chocolate with mint marshmallows or caramel apple cider! Coffee with gingerbread flavored creamer! Cinnamon and Vanilla Tea from Trader Joe’s! I just became a fan of Rosanna on facebook!! Such beautiful products! I will be sipping Red Rooibos Chai herbal tea! Yum! I’m following Rosanna on Facebook! I love coffee and drink it with lots of cream! hot chocolate, no questions asked. These mugs are so cute! I’d love to be sipping coffee out of them. I will be sipping my dairy-free hot cocoa. I would sip a lovely mug-ful of chai! I’d love to sip some hot chocolate or tea! yummy! For sure it would be an eggnog chai! I love the reindeer mug! I would definitely be sipping a whole bunch of Peppermint Hot Cocoa, for sure! I’ll probably mix things up and have some Eggnog Lattes and Warm Caramel Apple Ciders too. I liked Rosanna on Facebook! I would love to sip a hot cup of apple cider! Im a follower on Facebook! 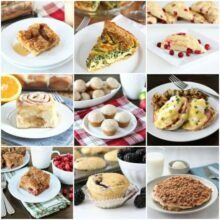 Love your blog and your recipes! Hot Chocolate is my hot beverage of choice! With lots of hazelnut creamer! I would love to sip it out of one of these darling mugs! I am following Rosanna on facebook! I would drink mint hot chocolate with homemade marshmallows! YUM! Yum! What a festive mug to drink my hot chocolate in! Now following Rosanna on FB! Those mugs would be perfect for a cup of Hot apple cider!! Hot apple cider for sure! I am following Rosanna on Facebook. My father-in-law just brought me a box of assorted flavored coffees, and I’d love to sip them out of these cute mugs! I am following Rosanna on twitter. Hot CHOCOLATE~ with tons of whipped cream and vanilla!!! If I win I would sip Hot Chocolate with a sprinkle of cinnamon!! i will be sipping homemade eggnog lattes! I will be sipping Chai Tea Lattes out of my mug or some hot White Chocolate. Mmmm!!! Love the mugs!!! I’d probably be sipping on some hot chocolate with lots of marshmallows! I am also following Rosanna on Facebook! Her dishes are adorable!! I’d sip some Nutella hot chocolate!! hot buttered rum! thanks, lady! I’m a coffee girl all the way! All three, but particularly a mocha with a candy cane to stir with! Definitely the Celestial Seasonings Nutcracker Sweet tea – so good! Wow! These are gorgeous… Definitely a cup of chai. Beautiful. Will definitely follow on Facebook! Thanks ! love, Love, LOVE that cake pedestal! I’d sip hot buttered rum in my Christmas mug. Thanks for such a great giveaway! Oh, I’m fan of white hot chocolate and would gladly sip it all winter long. Hot coco or Hungarian herbal tea. A mix of hot chocolate and coffee – I love mochas! Coffee with a holiday flavored creamer. I will sip hot chocolate with a drop or two of mint added. I would drink coffee, tea, and hot chocolate out of them! I love all three! oh, that ornaments mug is adorable! I think hot chocolate for special times and tea every morning would fill my mug. We will definitely be sipping hot chocolate. Our kids love it!!! I’m all about apple cider right now. These Rosanna dishes are beautiful. Thanks for hosting this giveaway! Hot chocolate! I have some almost every morning after taking the kids to the bus stop. Warm Chai tea of course! I follow Rosanna Inc on facebook! With baby on the way, it would have to be anything without caffeine. :o( Some decaf tea or hot cocoa works for me! I’d be sipping on black coffee! I would drink coffee. Lots and lots of coffee! hot chocolate with bailey’s marshmallows! I would definitely use this adorable mug to sip my favorite green tea! I love hot chocolate – mint, white, milk, it doesn’t matter! And it’s always better with a little whipped cream on top! My family loves to make hot toddies over the holidays, and always in a festive mug! Hot chocolate! These are perfect mugs to dip those fab peppermint cookies in! all of the above? i love coffee, tea, and hot chocolate, i just need a hot beverage in the mornings! I will drink a hot Nespresso coffee, with lots of hot frothed milk. I don’t like coffee, so Christmas morning, my mug is usually filled with hot chocolate, perhaps with a splash of cheer in the form of Bailey’s. Definitely hot chocolate at Christmas time. These are super cute and I would be drinking it all. I need hot drinks during the winter. I would love to be sipping chai tea from one of those lovely Christmas mugs. Definitely hot Earl Grey tea! I would sip Peppermint Hot Cocoa! I so want to win the pedestal! It is so cute… it might inspire me to bake something. For the mugs, I’d load them up with ice cream! That’s how I roll. The kids and hubby would use them for hot chocolate though. A delicious cup of hot chocolate with a peppermint candy cane – but my heart is really after the pedestal! peppermint hot chocolate! i love dishes too! p.s. I like Rosanna INC. on FB:) Thanks for the info! p.s. I ‘liked’ Rosanna Inc. on FB:) Thanks for the info! a chai latte for sure! Would love to sip some spiked hot chocolate!! I love this! I would drink hot cocoa- with a splash of bourbon. Coffee with cream & sprinkled with nutmeg and cinnamon! Hot apple cider – yum! Hot chocolate or hot cider, probably. yum! I would sip my green tea on the days I feel like being “healthy” and coffee on the days that I don’t care. Love this stuff!! I also “liked” Rosanna on facebook. Now, to avoid spending all of my money there. I would be sipping coffee on the weekends. I don’t make it early enough to enjoy a cup while getting ready. I follow Rosanna Inc on FB! Right now I’m feeling under the weather, so I’ll be sipping breathe easy hot tea! I followed Rosanna on Facebook. And I’ve followed Rosanna on Twitter. hot chocolate almond milk! maybe even peppermint! I would drink my morning latte out of this and then on Christmas Day I would have Hot Chocolate with Baileys…YUM! I like Rosanna on facebook! How did you know I have obsession, ahem, I mean Collect pedestals and coffeemugs! I would serve some of our favorite Holiday Chai Tea in those gorgeous mugs! Tazo JOY tea with cream and sugar. It’s my favorite this winter! I follow Rosanna on FB! Hot chocolate all the way! Yummy hot cocoa with real melted chocolate and real whipped cream…. HOT CHOCOLATE!!! I drink hot chocolate all year round but three times as much in the winter, which means I am always washing mugs to refill them. More mugs (especially festive ones) would be FABulous! Plus check out that cake stand, hubba hubba! 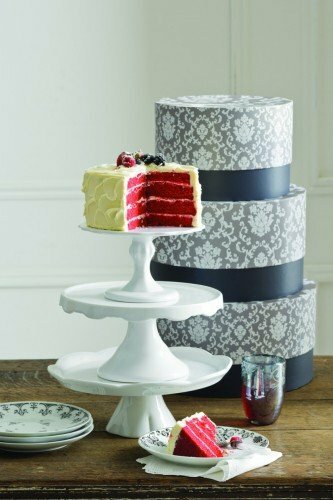 Oh wow, I’ve been looking for a nice cake pedestal and always love new mugs! I would definitely fill the mug with this cafe-au-lait-meets-hot-chocolate drink that I’m in love with right now. It’s so good! It’d be hot chocolate for me 😉 YUM. Happy Holidays, darlin’! Green tea in the a.m. but probably hot chocolate in the afternoon! Thanks for the opportunity to win! I would sip some seasonal flavored coffee in my mug! Great giveaway. I will fill the mug with hot malted milk while enjoying an old fashioned chocolate chip cookie from the cake pedestal. been following Rosanna on twitter and Facebook for a while now. Love love love everything Rosanna. I am following Roseanna on FB! I am following Rosanna on Twitter! I love cake stands. I also love those mugs. How cute are they?!?! If I won, I’d be filling my cup with hot chocolate in the evenings and hot cinnamon tea during the day. The best of both worlds. Truth be told, I’d probably share a mug with a loved one, too. They’re too cute not to! Coffee out of cute mugs hopefully! I’ve been following Rosanna in twitter for a while now! I’ve been following Rosanna on Facebook for a while now! I think I might have a problem with hot drinks, as I’d be more than happy to drink coffee, tea, hot chocolate, warm cider, lattes, etc. out of those mugs. I like it all!!! I would definitely be sipping tea and hot chocolate! I would be sipping some coffee! I am so hooked on eggnog lattes – made at home. These cups are beautiful!! Hello, thanks for the giveaway! I would sip on coffee with a splash of egg nog! Hello, I am following Rosanna on Facebook! Hello, I am also following Rosanna on Twitter, thanks! I “Like” Rosanna Inc on Facebook. I love Rosanna products and I’m fortunate to live in Seattle – her home market! I love the new Christmas sets! Thank you for providing the giveaway! I am so excited! I think since I am constantly trying to eat healthy, I would splurge on a cup of rich, milk chocolate cocoa with lots of whipped cream. Yum! Definitely hot chocolate or tea. I would sip my AM coffee. The mugs are really pretty and so festive for the season. A cup of hot coffee flavored with pumpkin spice and a shot of amaretto (just to take the edge off)! I would def. be drinking coffee…or maybe some really good hot chocolate with big fluffy marshmallows! I would sip Peppermint Mocha Coffee in my mug! Yum!! Coffee and hot chocolate-love them both equally! I would drink Trader Joe’s spicy cider! I would sip some tea in the morning and hot chocolate with marshmallows in the evening! I’m following Rosanna on Twitter! Hot Chocolate with Bailey’s Marshmellows! I would sip spiced apple cider from my mug! I’m following Rosanna on Facebook, too! I just “liked” Rosanna! I love the mugs! So retro!! I guess I’d start out with coffee, move to tea in the afternoon, and finish up with hot chocolate in the evening! Yum! I follow on face book! I would drink my favorite Green Tea Exlir. It is 1/4 cup of Yerbe Mate Tea, and then Matcha tea with a splash of soy milk and raw honey. Yum! And I like Rosanna Inc on facebook! I love Rosanna! The first thing I would drink would be hot cocoa with lots of peppermint! i would sip a homemade chai tea latte in my mug if i won! I drink coffee, tea, and hot chocolate! I’d probably use it most often for tea. i like rosanna on facebook. I would sip salted caramel hot chocolate or mulled cider! I will be sipping chai tea with a little milk , cinnamom and sugar. I love having a special cup to sip my special tea. This is what keeps me warm in the winter. I will sip yummy flavored hot chocolate. Lovely mugs. I would warm up on my couch with a book while listening to Christmas music and drinking Vanilla Rooibos loose leaf tea from Market Spice at the Pike Place Market – my favorite place to purchase loose leaf tea. Happy Holidays! I follow Rosanna on FB. I would have to have my black coffee!! I follow Rosanna on Twitter! I love love love cake pedestals especially these by Rosanna! I am now following her on Twitter!!! I love SF Alpine Spiced Cider. Hot chocolate…with a healthy dollop of whipped cream! I would be sipping my favorite coffee drink–coffee, irish whiskey, creme de cacao, irish creme & whipped topping. Yum!! Constant Comment or Mexican Hot Chocolate! Yum! I would be sipping hot cider or chai rooibos tea. What cute mugs! On a cold winter evening, I enjoy a hot cup of chai tea! I would fill my mug with spiked egg nog or coffee and Bailey’s. I would be alternating between hot cocoa with mini marshmallows and hot tea! I would be sipping a delicious chai tea while knitting on a cold December day. Sounds amazing! And I’m now “liking” Rosanna on facebook! 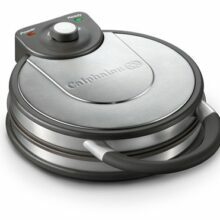 I am now following Rosanna on FB – I’m excited to check out their products! Hot cider with lots of mulling spices! I would definitely sip some Harney & Sons Holiday Tea. It is so yummy. I’ve always wanted to try a hot buttered rum and….a butterbeer. I love that they have recipes for that. I liked her on facebook…such awesome stuff! how about some hot buttered rum? yum! And I just started following her on Twitter, too! Have I mentioned that I absolutely LOVE tableware? I do! I would love to sip some hot tea, English style on Christmas morning. Coffee with fat-free half & half! I love Cherry Vanilla tea. Yum. I just “liked” Rosanna on Facebook – my drinks of choice are Constant Comment & Mexican Hot Chocolate! I will be sipping some warm hot chocolate! Vanilla Chai Latte! I love dishes too Maria, especially Rosanna’s. Thank you! We used to drink eggnog with Butterschnops every Christmas. It was so tasty. I need to bring that back into my life. Cute, cute mugs! I think ’tis the season for coffee with Bailey’s Irish Cream. So cute! I would be drinking hot choco out of this cute mug! I would sip away on my morning coffee! Those cheery mugs would start my day off right! I drink hot tea – either peppermint or Camomile – but splurge with minty hot chocolate. Yummmm! I love to drink hot cocoa on cold days and I always add peppermint and whip cream. This mugs would be perfect for my hot cocoa or my favorite tea. I have a new holiday drink…I buy chai tea and instead of milk I use egg nog. I heat it in the microwave. YUM!!! I agree with Demitria, coffee in the morning and hot chocolate at night! Those cups are great. I’ll be sipping P&G Tips with a splash of milk. Yum! I just ‘liked’ Rosanna on FB. Love that cake plate. Perfection!! Will be sipping my fave vanilla rooibos tea! Also, following on facebook! I would put Christmas cookies and goodies on the platter and drink everything from chai, hot chocolate, tea and of course the morning coffee. This set is adorable! I would love to drink some homemade hot chocolate out of these mugs! I would be sipping on my favorite Harry and David peanut butter Moose Munch coffee! It is my all time favorite and I’m sure it would taste even better out of a Rosanna Christmas mug! Ohhh what a pretty mug…hot spiced cider will be perfect for it! I am following on FB! I drink two cups of wonderful, dark roast coffee per day. And then usually some herbal tea throughout the afternoon. My kids will use the mugs for hot chocolate! These mugs are adorable!!! I sip Chai tea every day when it’s cold outside! Mmmm I’d put White Chocolate Cappuccino in my mug! Coffee! Loads and loads of coffee! I’ll have hot chocolate next to my Christmas tree! I also follow Rosanna on Facebook! I will drink green tea from my mug! I added Rosanna on Facebook. you pick me , my mom will love this cake pedestal, her name is Rosanna!!!! Licorice root tea, of course! Apple cider from Allred Orchards (when we come to visit, my in-laws have to buy TONS because I can’t get enough of it). I’d definitely be sipping hot tea! Tea, please! The more the better, with this FREEZING cold weather we have this week. Coffee, coffee, coffee. Love the stuff. On a cold snowy day I would enjoy hot chocolate with whip cream topped with caramel sauce. On the warmer days I would enjoy water or juice. It would become my new every day cup. I LOVE dishes also :). The lovely mug would be used daily—coffee,tea and hot chocolate!!!! hot chocolate is sounding so yummy right now. or hot apple cider! On a cold snowy day I would enjoy hot chocolate with whip cream topped with caramel sauce. On a warm day I would enjoy water or juice. It will become my new go to cup. I would be sipping some very decadent hot chocolate with lots and lots of whipped cream with some chocolate sprinkles on top! I can see myself now, sitting in front of a warm fire…Heaven! hot chocolate made with whole milk!! the Marriott Hotel in New York city has the best hot chocolate! I’d sip some hot cocoa, definitely. i will sip hot chocolate! I will be sipping mint hot chocolate! I am a fan of rosanna on facebook! I love all hot drinks so I will definitely be using it to drink hot coffee, tea, and hot chocolate! I am now following Rosanna on Twitter! 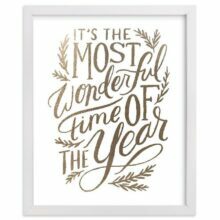 Coffee – Starbucks Christmas Blend! Wow – the Rosanna mugs will be the hit of the holidays – they are so cute!! Definitely I would use it for tea! Love the mug sets!! Oooh beautiful stand and mug set! What a generous giveaway! 🙂 I would definately be sipping some hot chocolate out of those mugs! I will be drinking green tea, it is very calming and relaxing. These are lovely little pieces that I’d love to own, thank you! Homemade hot cocoa with marshmallows! I would definitely sip some peppermint hot chocolate! While I do love my morning coffee, those mugs are perfect for some hot chocolate with peppermint schnapps! I will be sipping eggnog! Earl grey tea is my favorite hot beverage in the morning. I would love to sip my favorite green tea with honey from these adorable mugs. I’d make hot cocoa for the boys so they don’t feel left out. I like Rosanna Inc on FB (Julie Espy). I’m so happy to have another source for my dish obession. Nothing is better than a cup of chia tea to warm up. I am into green chia tea this year and it is so good and healthy too! Hope you enjoy your holiday’s with your new little bundle! I am following Rosanna on Facebook!! In December, the holiday season brings out the traditionalist in me: hot chocolate–made with real milk, mind you, no package concoction for me–stirred by a peppermint stick. Ahh, that chocolate milk mixture is so frothy, creamy, and absolutely mouth-wateringly delicious. Hot chocolate, for sure! Going home from Hawaii to the collllld in a few weeks. Gotta stay warm somehow! I like Rosanna on twitter! If I win, I will drink straight-up virgin eggnog all day, every day. Just say yes. I will weigh 1,000,000 pounds, and will not care, because I will be drinking eggnog from a beautiful mug. I would sip Diet Pepsi! I love any and all tea. Recently, though, I took a trip to New Orleans and discovered the coffee and chicory blend at Cafe du Monde. I bought a can to take home, and can’t stop drinking it! I will buy my favorite amaretto coffee – which is a rare treat for me. I would use these during tax season for coffee to remind myself of the joy of Christmas!! Coffee with a splash of eggnog for some holiday fest or even peppermint hot chocolate – tough decision but oh so stylish in one of these mugs! I just hit like on Facebook… And I really like their pretties!!! I really enjoy coconut milk hot chocolate. And coffee of course! Coffee AND hot chocolate mixed! My new favorite combo! Every Christmas we drink a warm cocktail that is called a Tom and Jerry. It’s a drink made of eggs, sugar, rum, brandy and milk. It’s served warm with nutmeg sprinkled on top. It’s a holiday tradition in our home! Gorgeous! Cinnamon hot chocolate for sure! Hot chocolate for sure! I’m a chocolate kind of girl. I will most likely have a hot cocoa with some mint. Definitely hot chocolate–the darker the better! I’ll have my Christmas morning coffee in the mug! I follow Rosanna on Facebook. It’s how I relax at night. First thing I would drink with the mug, a nice hot toddy. Tis the season! I would drink hot chocolate or Brazilian Chá Mate! Yummmm! Christmas morning it would be coffee with a shot of Baileys while the kids are opening presents. I’ve started collecting cake plates, and would love this little one. Some spiked apple cider would be in my Christmas mug. I would like to sip some Earl Grey or some decadent dark hot cocoa from these adorable mugs! Hot toddy for sure on a cold Christmas morning! I think I may be a little weird, but my fave hot sippy is Pero with a boatload of vanilla creamer. Mmm. I like Rosanna on FB. I’ll probably drink coffee, hot chocolate, and tea out of them! Green Mountain French Toast coffee…yum! I love, love, love your site. I will be sipping hot chocolate. I would sip a nice, warm double cappuccino in my mug! I am a coffee addict. I love the deep, comforting taste. I would drink it all day if there weren’t so much caffeine. We like coffee in the morning and tea at night. I love hot tea and hot chocolate. Coffeee in the morning, green mint tea during the day and hot chocolate with cake vokda in the evening! Thanks! I would sip some chocolate peppermint soymilk! Heated with some soywhip cream on top. Ahhhhh I can picture it now! So cozy! I’d have some peppermint hot chocolate!! And I now follow Rosanna on Facebook! I’ll be sipping hot chocolate in my mug if I win. I think I need some right now! I would drink candy cane green tea from Trader Joe’s. Just started following on Facebook!!! I love chai tea in the winter! Thanks for the chance to win these beautiful dishes! Hot coca with equal amounts of whipped cream….yum! My MIL always sends amaretto hot chocolate mix every Christmas. Can’t wait to get more and (hopefully) some beautiful new mugs to drink it in! The mugs are super cute but the pedestal is what want from Santa! I would sip coffee, hot chocolate AND tea in the mugs!!! They are so adorable, would love to win! I will be sipping on Red velvet hot chocolcate …recipe I found on here! The holidays are here & this giveaway would be a great way to store the desserts. The holidays are here and I would definately sip hot egg nog in these mugs. Following Rosanna on Facebook. Thanks for introducing her…..my daughter is getting married October 13, 2012….instead of a standard wedding cake, she is having multiple bundt cakes and homemade pies….all atop vintage-like cake pedestals. Rosanna has such, but winning one would be an awesome beginning! Coffee for sure! I’m somewhat of a coffee junkie! I would make cinnamon coffee just to put in those mugs. Hot coffee with a hint of cinnamon on a cold winter day…….YUM!!!!! The pedestal and the mugs are gorgeous by the way!!!! I am following Rosanna on Facebook now. Hot Tea in the morning and hot chocolate at night…too cute!!!! i think i would sip a nice cup of hot apple cider! I will either sip hot chocolate with whip cream and a candy cane for stirring or some chi tea. Thank you. I love tea! Especially the seasonal celestial sugar cookie sleigh ride-yum! I love hot chocolate and would drink that from my new mug!! Love almost any hot chocolate. Super cute dishes!! I LOVE Rosanna and I’ve been following her on Twitter for a while! If I had a Rosanna Christmas mug, I would sip egg nog and also Chai tea on Christmas morning, watching my kids open their presents! Coffee w/Bailey’s…..yummy! Such beautiful cups! I would to have my morning coffee in one of these cups. How cute! I have never seen this before. I would be enjoying Hot Chocolate. I am a big fan of it. I will sip homemade salted caramel mocha or hot chocolate. Oh I some delicious and beautiful cakes that would look lovelly on the Rosana cake pedastals! I have alway wanted one of those! 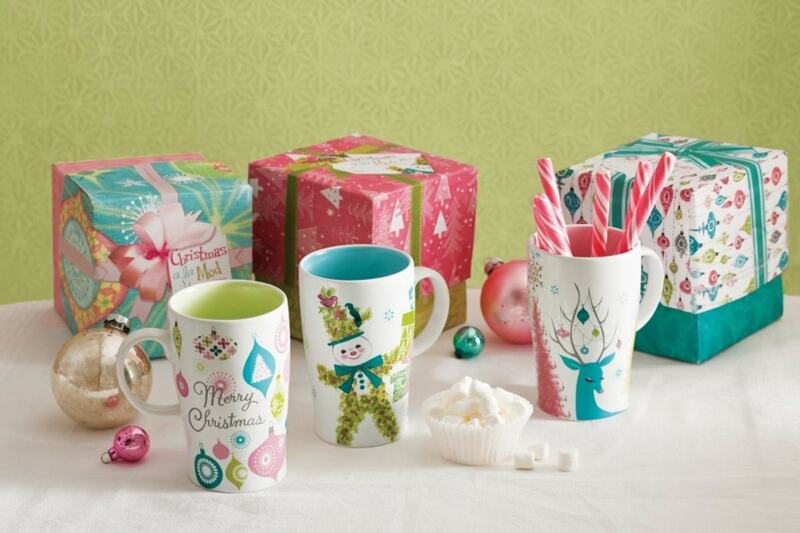 The Christmas mugs would so pretty and yummy mexican hot chocolate! Thank you for this great Christmas giveraway! I have a recipe for hot buttered rum hot chocolate that I would like to try and use this cup. As for the dish collection, I understand completely. I too added onto my house a bigger kitchen and the cabinets are full. I can’t stop. I will sip a Hot Toddie with my Grandmother and Grandmother in law and listen to them enjoy each other! Or, mexican hot chocolate with vanilla bean fresh whipped cream. Definitely homemade hot chocolate and maybe some cider. I would sip a cup of Hazelnut coffee from my Keurig! Thanks for this chance to win!! I love these! I would be sipping on a homemade pumpkin spice latte! Yum! I follow Rosanna on Facebook! I’ll be having a pumpkin spice latte, hot buttered rum or coffee with Bailey’s. I will sip egg nog, coco, and chai in those cute holiday mugs. white hot chocolate and sugar plum tea. This adorable mug would be absolutely perfect for coffee with a touch of Peppermint Mocha Kahlua and Baileys! Yuuuummmmmy! I sip hot cocoa!! YUM! As usual, my Christmas beverage of choice is hot coffee! I looooove pepermint hot chocolate! Wassail!!! The best holiday drink! mmmm, hot chocolate and tea! Definitely coffee, especially with gingerbread or peppermint mocha flavoring. Thanks for the giveaway! I will be sipping hot tea in my mug. Hot Chocolate of a morning, then Hot Spiced Tea in the evening! Both along with a small slice of a nice coffe or spiced cake or scones. A few of the t hings to make you feel warm and cozy and help get through the cold days ahead. OH, i LOVE the pedestal! it would come in so handy for me. if i won i would be sipping coffee(black) mostly. but also an assortment of smoothies and hot chocolate too! I would love to sip some homemade hot chocolate! I may use it for several things. We use mugs for hot chocolate, coffee, soup and ice cream! All four of these will taste great in the fun mugs! I hope I win! Definitely coffee…can’t start my day without it! coffee for sure in the morning, and tea at night! i follow rosanna on twitter too. I would have some hot chocolate with whipped cream. I’m going to drink a hot mug of Trader Joe’s decaf peppermint green tea! It’s the best! And followed her on twitter! I will sip a vanilla soy latte and eat a piece of cake that I make for the pedestal! Hot chocolate! I drink it every morning during winter! 😀 Breakfast of cold champions! I would sip on some spiked apple cider!! I would sip mint hot chocolate loaded with marshmallows. YUMMY!!! I would def. be sipping my steaming hot coffee with agave nectar. Those are so cute I don’t think that I could put it away when the holidays are over!!! I follow Rosanna on Facebook, so many pretty things…..
Can’t wait to decorate for Christmas! Precious mugs! I would be alternating between some Scottish black tea, gingerbread coffee, and vanilla hot chocolate. Those pedestals are beautiful, too! thank you for the opportunity to win this awesome prize! I would enjoy hot chocolate! Definitely chai. And spiked hot chocolate! And I’m following on Twitter! oooh hot chocolate with creme de cacao and creme de menthe in there…plus whipped cream! These are way too cute. I have a serious obsession with mugs too – great giveaway! I think I’d probably use them for homemade lattes in my pretty hand-me-down espresso machine. I haven’t used it since I inherited it, so this would be a great excuse. I will be sipping either pomegranate vanilla red tea or hot chocolate! I am following Rosanna on twitter too. I would definitely use the mugs for sipping tea! I would probably sip chai tea! I’d drink some hot mulled cider in those mugs. I would give one to each of my kids, so it would be hot chocolate all the way! Where can I purchase this Christmas mug set??? I can’t find it anywhere!